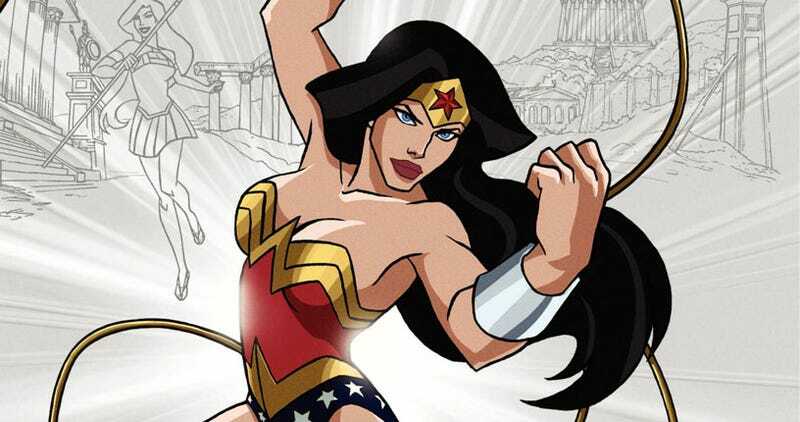 WB CEO: "We need to get Wonder Woman on the big screen or TV"
Impatient to see a Wonder Woman movie? Apparently, so is Warner Bros. CEO Kevin Tsujihara. Speaking at an entertainment law conference yesterday, Tsujihara talked a bit about the state of DC characters in film and television. The Hollywood Reporter quotes him as calling the lack of DC feature films beyond the Batman and Superman franchises a "missed opportunity," while adding that the studio has "huge plans for a number of other DC properties on TV." Well, beyond Arrow, we know that Warner Bros. is looking to launch a Flash TV series; what else is on the horizon? One character that Tsujihara claims he definitely wants to focus on is Wonder Woman: "[W]e need to get Wonder Woman on the big screen or TV." We have some predictions for how that might happen as part of a Justice League franchise, with Batman/Superman followed by a Trinity movie featuring the Princess of Themyscira—though we feel some trepidation about how that will play out. But at least it sounds like the gears are turning over at Warner Bros. and they're (maybe) getting on board with the rest of us.